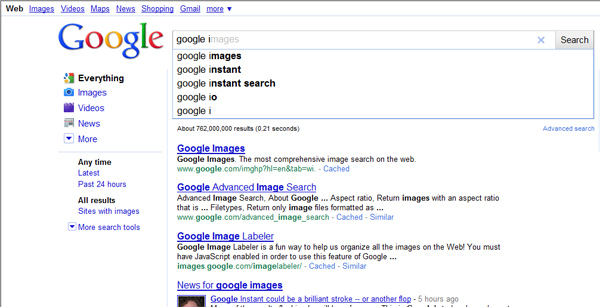 The moment Google announced Google Instant, imaginations begin to go wild. Being a Marketer who prefers to make strategic decisions grounded in facts, I wanted to get the scoop about how Google Instant will affect SEO, mobile search and how we use search. Google is calling it “Search before you type”. Now as you enter word into the search bar on Google.com, Google Instantwill automatically present results which will change as you continue to add characters…essentially further defining your search. The pre-cursor to this was the Autocomplete results that had appeared for some time suggesting keyword phrases related to the first word(s) you entered in to the Google Search bar. Google Instant generates search results in real-time which automatically adapt and list the most qualified results to respond to each and every character you add to the Google Search bar. Google Instant accelerates the search process because you can now visually scan the results suggested by Google, continue to add or delete the necessary keywords to get the results you desire, use the arrows to find and select from suggested search engine results. Oh, and by the way. If you hit the now old-fashioned “search” button on Google.com, you will get what one might call “static” search engine results, which were the norm until now. There are some bloggers provacatively suggesting that Google Instant will be the demise of SEO. This could not be further from the truth. In fact, one could argue the opposite. Google Instant Impact on SEO? Google’s Sergey Brin responded to this question during the launch of Google Instant explaining that SEO will basically stay the same with the same results, Google Instant is just adapting to behavior. SEO could be more important than ever with Google Instant. In fact, Google stated that Google Instant will NOT impact ranking of search engine results. As Google Instant displays search results faster than ever before, the person doing the searching is scanning results faster than ever before, making it more imperative than ever for your website to appear in the top search results according to as many keywords and phrases as are relevant to how your intended audience would be searching for your information, product or service. With the average search query of around 20 letters long, Google Instant now produces results for all 20 possible queries instead of the one based on the complete query. From my perspective, this explains why Google Caffeine update was designed favors Long Tail content, Web 2.0, social media, blogs and news content. Google announced back in 2008 that it’s” intel inside” was not search, but data…Google Instant brings their enormous aggregate of data to the fingertips of Internet users using search. To present the most relevant results. Google Instanthas been rolled out for PC use on IE8, Firefox and Chrome Internet browsers in the United States, France, Germany, Italy, Russia, Spain and U.K. with plans to roll out to all geographies and platforms in coming weeks and months. Anything that expedites the mobile search process is considered to be invaluable. Google has stated that Google Instant saves two to five seconds per search…saving an aggregate of Internet users 11 hours per second of search! 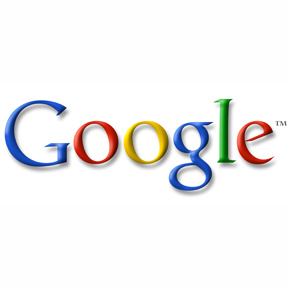 Google has announced their plans to make Google Instant available on Android phones in Fall of 2010. How will Google Instant Change the way you search, or use search to market your business?